Emeraude Beach Attitude is a small, friendly, adults-only 3-star hotel, on the island’s east coast facing the magnificent Belle Mare beach which is famous for its kilometres of white sand and its turquoise- emerald lagoon. The 61 en suite rooms of Emeraude Beach Attitude are decorated with refined taste and creativity. They are set up as four-room bungalows, built with wood, stone and thatch amidst a lush tropical garden, offering all standard facilities. The rituals of Spa Attitude inspired from local nature are offered in 2 massage rooms - double or single. Complimentary activities and facilities include two swimming pools, indoor and outdoor games, beach-volley, glass bottom boat trips, kayaks and pedal boats. At an extra cost, sea excursions, PADI diving, kite-surfing, catamaran and speed boat outings and big game fishing can be organised. 30m² . The Superior rooms are decorated with refinement and creativity and are split into individual bungalows with thatched roofs. Each unit has four bedrooms (two downstairs and two upstairs) and are nestled in a lush tropical garden. These rooms have a furnished terrace or balcony. Alizés restaurant offers for each day of the week a different theme buffet or a table d’hôte menu featuring colourful dishes with a touch of local herbs and spices. Cuisine: local and international. Everyday between 11h00 and 23h00, at the Tides bar overlooking both pools, guests can sip a selection of drinks and exotic cocktails with their feet buried in the sand. At meal time, swimwear and pareos are not accepted in the restaurant and bar area. At dinner time, shorts are not accepted in the restaurant and bar area. 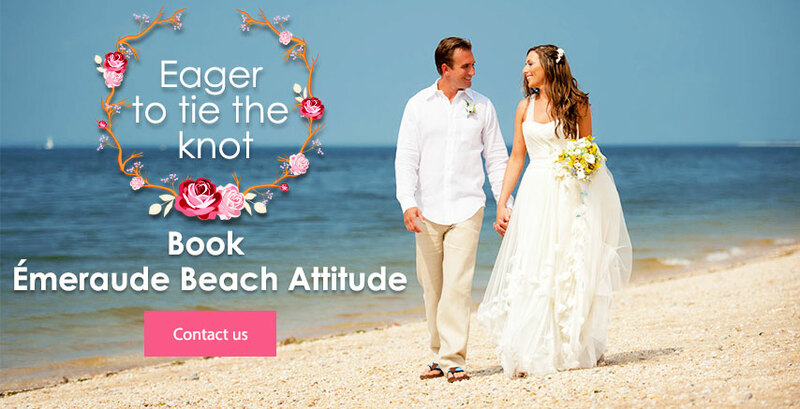 You want the wedding day to be the best day in your life,and at Emeraude Beach Attitude they focus on exactly this goal too. From the location,to the gastronomy and the little details before and after the ceremony,Emeraude Beach will help you to put your love and commitment into an elegant,glamorous and fun context. Let the enthusiastic and supportive staff of Emeraude Beach Attitude turn your dreams into glistening reality. 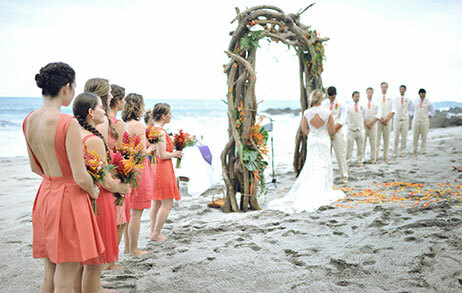 Stand by your partner and exchange your most intimate words in a wedding venue especially set up for you. Then, enjoy a candlelight dinner accompanied by a fine bottle of sparkling wine, and set off to your new life as a married couple. There are two types of Emeraude Beach Attitude wedding packages:a straightforward Free Wedding Package of elegant and stylish essentials if the couple stays at the hotel for a minimum of 7 days and a more elaborated Beach Package composed of exclusive services for the bride and the groom-to-be,such as couple massage at the atmospheric Spa Attitude,beauty treatments for the bride-to-be and exotic flowers. From your vows to your first dance and the gala dinner,your wedding day will be all about beauty and grace - only to wake up in the morning and see that the pampering has no end. A special congratulations breakfast will be served on the beach exclusively for you and your … husband! 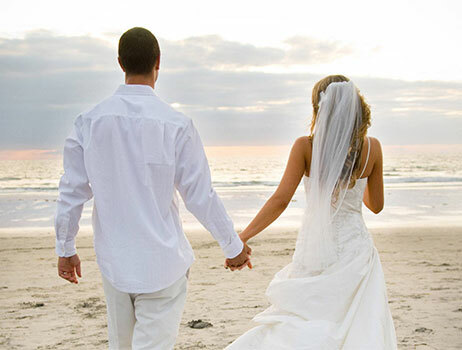 You are more than welcome to add your personal touches that will compose the picture of your grand love story. 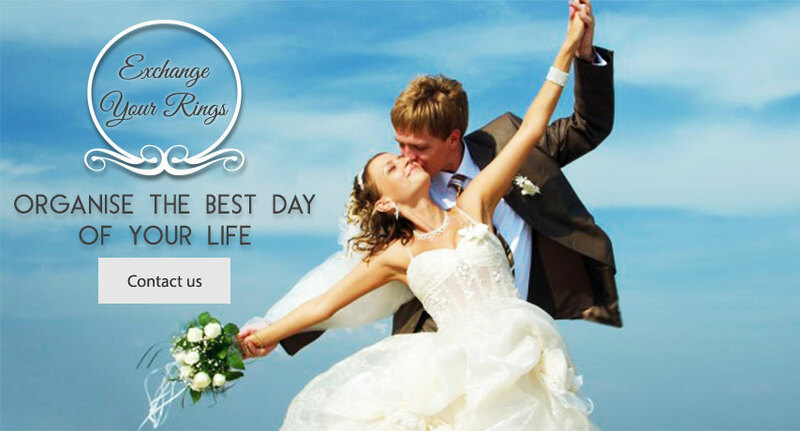 For the couple that wants to go one step ahead, there’s an array of additional services to pick and choose from. Why not make the most of what Emeraude Beach Attitude has in store for you,and voice your love with a speed boat trip in the open sea,or a sega show exclusively performed for you and your better half? * This package is offered only if the couple stays at the hotel for a minimum of 7 days. Emeraude Beach Attitude offers a genuine seaside-oriented holiday in Mauritius that involves a lot of swimming and diving in turquoise waters, relaxing hours on the endless beach and signature cocktails by the swimming pool. The 3-star hotel is built in the middle of a lush green garden, and the 61 rooms are decorated with refined taste and creativity stated through the widely used wood, stone and thatch materials. There are two room categories available (standard and superior) but whichever option you choose, Emeraude Beach Attitude guarantees a friendly and charming stay for a gentle Mauritian experience of the old days of simple and fulfilling life. The hotel has one restaurant,where you will indulge into fine local and international dishes. Every day of the week there is a different theme buffet or a table d’hôte menu featuring colorful dishes with a touch of local herbs and spices. Tides Bar,overlooking both of the hotel’s pools,is the ideal spot inside the premises to sip a selection of refreshing drinks or exotic cocktails while your feet are buried in the silky sand. For a complete rejuvenation of your body and soul, Spa Attitude invites you to one of the atmospheric treatment rooms. The care rituals are based on four natural elements of Mauritius: soil,sea,sun and plants, and lead to four signature treatments: Earth Attitude,Sea Attitude,Sun Attitude and Flora Attitude. If you wish to invite your partner on an idyllic date out of the public eye,a double treatment room is available. Emeraude Beach Attitude faces one of the island’s most beautiful beaches,Belle Mare beach with its 10 kilometers of white sand and the emerald lagoon running along the east coast. Only 50 meters away from the hotel,Bell Mare is a fabulous location to stroll along the shore with your partner under the sparkling sun of Mauritius. If you are an active couple always in search of trying new things,you can take kite surfing lessons in the lagoon of Palmar. There the wind direction is ideal to launch,and the shallowness of the lagoon makes the surface very smooth. And if you stump into windless days,take the surfing boards,stand-up and paddle. Ile aux Cerfs - one of the most popular destinations in Mauritius - is a paradisal island inside the lagoon, near the east coast of Mauritius. Ile aux Cerfs constitutes of about 100 hectares of land,and is famous for its sandy beaches,beautiful lagoon and big selection of activities and facilities. 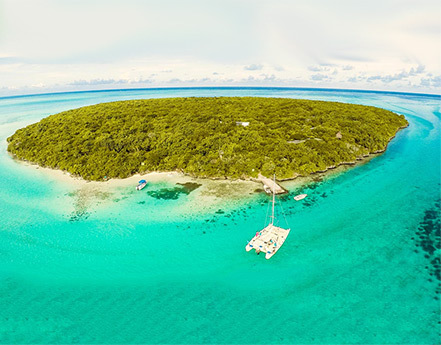 Residents of the Emeraude Beach Attitude hotel are especially privileged,as all it takes is to step in the hotel's motor boat,glide over the colorful patches of sand and corals along the mangroves,and land on Ile aux Cerfs-a traveler’s paradise. The Spa Attitude with its three treatment rooms, two single and one double, is open every day from 9h00 to 20h00. Please book your massages and treatments at the hotel reception. The Spa Family Members look after you, according to your wishes, needs and emotions, right through this Mauritian nature, full of bright colours, soft sounds and exotic smells. The advantage with the East coast, including the South East coast is that the kite surf spots there are adapted for all levels, the best period being from April to November. Spots in this region include Belle Mare, Pointe d'Esny and Blue Bay spots. Shallower spots are also available in Poste Lafayette, La Colombiere, Trou d’Eau Douce and L’ile aux Cerfs. The main drawback of this region however is that the lagoons are irregular in depth, and coral patches can thus be a hazard. Moreover, there are several passes in this region, with strong currents that can pull the kiters outside the lagoon. It is thus advisable to kite well inside the lagoon in this region. One of the largest domain of the island is located on the east coast. You can ride for more or less an hour and a half in a breathtaking scenery that will make you see Mauritius in a new angle. The icing on the cake? A whole bunch of activities and services are available for those accompanying the riders ! Tucked away in the secluded Eastern Coast of Mauritius, the renowned Ile aux Cerfs Island or literally known as Deer Island is a haven of relaxation, fun and entertainment. The island is spread over a lush vegetation of 100 hectares and is visited by tourists and locals due to its sandy beaches, beautiful lagoon and with a wide range of activities. Known also for its best snorkeling areas, Ile aux Cerfs has beautiful coral reef teeming with a vibrant marine life where you can enjoy the rich underwater world. 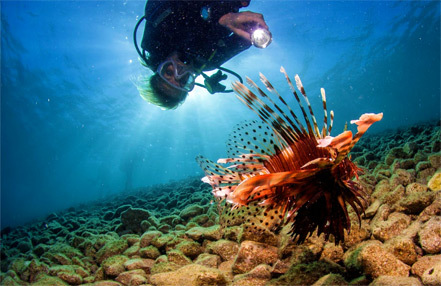 You do not have to be a good swimmer or diver to discover the realm of the marine ecosystem. You can try the underwater sea walk where you will have the chance to feed the beautiful fishes. Or simply try the thrilling parasailing to enjoy the bird’s eye view of the incredible Island and turquoise lagoon. Also the island consists of many facilities such as small market, bathrooms, restaurants and also a five-star hotel with a golf course designed by the famous golf player Bernhard Lange. The course covers 38 hectares on the southern half of the Ile aux Cerfs Island with the holes snaking up and down the length of the island, boasting naturally undulating topography, volcanic rock outcrops, lakes and gullies, and a variety of tropical trees and plants. The virgin nature sanctuary of exotic and indigenous species, Ile aux Aigrettes - a tiny coral island (26 hectares) just off the Southern Coast of Mauritius is a nature reserve under the supervision of the Mauritian Wildlife Foundation. The island is a natural museum and home to many endemic and native animal and plant species. Its flora is mainly composed of coastal ebony forest and strand scrub vegetations. There are 97 known introduced plant species on the island, and 28 are considered as major weeds. Pink Pigeons, Mauritius Fodies and Mauritius Olive White-eyes have also been reintroduced, along with the Aldabra Giant Tortoises (to replace the extinct giant tortoise species once found here). The beautiful endemic Ornate Day Gecko Phelsuma ornata still occurs on the island naturally. Captive Mauritius Fruit Bats can also be viewed on the island for educational and awareness purposes. The Mauritian Wildlife Foundation solely manages and conducts tours. The usual tours take between 1½ and two hours and start from Pointe Jérome, around 250m Southeast of Le Preskîl hotel. Longer 'eco tours' of two to 2½ hours are also available. These allow you more time on the island and let you meet some members of the scientific teams working there. Tours involve a good deal of walking; wear comfortable shoes and bring a hat, sunscreen and water. At the end of the tour you can visit a small museum and shop. Domaine de L’Etoile is a huge private nature reserve extending over 1200 hectares of lush green forests and dense valleys. It has kept the island’s most spectacular panorama, indigenous forests, and bountiful valleys. This splendid reserve invites nature lovers to rejuvenate in the Eastern part of the island. Expect exciting adventure moments such as the giant zip line course of 3,500 meters where you will get to see the breathtaking views, along with thrilling quad and buggy drive, horse riding, hiking and archery. This former sugar domain is one of the most preserved regions in Mauritius boosting indigenous forests rich of several varieties of plants and trees with the famous ancient ebony trees and endemic species. The Domaine also includes crystalline sources and rivers that extend to distant mountains. Its natural environment favors the survival of wild animals, while you will be able to admire deers, boars, monkeys and bats as well as rare species of birds such as the “Cateau Vert” and the “Crescerelle”. Head to the serene area of the restaurant where you will have the chance to savour the tantalising dishes with the genuine flavours of the local cuisine. 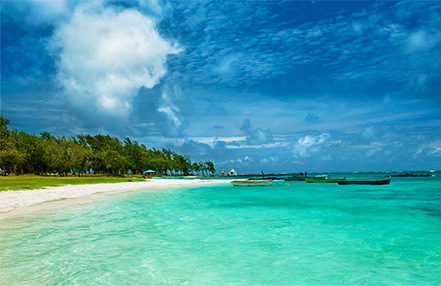 The Belle Mare beach is located in the secluded Eastern part of Mauritius. The beach has fine white sand fringed with lush casuarinas trees and is considered as one of the longest beaches in Mauritius. It stretches from the Belle Mare village to the south till the village of Trou dÈau Douce. The enticing Belle Mare beach has many top-end resorts and villas due to its incredible location and features. Its shallow bay and crystal clear sea water has undoubtedly attracted many locals and tourists as well. You can relax, and sun bath or swim in the southern part of the beach, where you can practice a range of water activities such as snorkelling. Fishing enthusiasts can enjoy deep-sea fishing for tuna, marlin and mako shark which are pretty much popular in this eastern part. Belle Mare also serves as a convenient base camp for a trek to 1,575-foot Lion Mountain, where sweeping views reward those who make the challenging hike to its peak. Located in the South Eastern Coast of Mauritius, just some 15 minutes from the international airport, Blue Bay beach is an idyllic relaxing hideaway to get sunburn. The beach is very renowned for its best preserved marine ecosystem, incredibly serene ambiance, and shimmering emerald blue water. The protected Marine park offers a great spot for glass bottom boat tours, diving and snorkeling. Take the chance to explore the rare beauty of the striking aquatic species, as the bay is a shallow haven of coral and colourful fish in all shapes and forms. The Blue Bay beach can be somehow packed with many people picnicking during weekends, providing you a chance to mingle with the friendly locals. In addition, you will find plenty of snack food outlets offering tasty local food, or if you are craving for some other kind of cuisines, then there are many nearby restaurants available. But if you want some lone and tranquil time, then you can also visit the gorgeous Pointe Désny beach, where you can sunbathe, and relax. The Blue Bay Marine Park is a Protected Area situated in the South Eastern Coast of Mauritius. This marine park extends over 353 hectares (3.5 km2) where you can find a diverse and rich fauna and flora especially the corals, mainly for a brain coral of diameter 6-7metres, with 108 of coral, 233 fish species, and 201 species of mollusks. Besides, it also consists of mangroves, algae, sea grasses, corals, and other marine organisms. Different fish species include Damselfish, Surgeonfish, Butterfly-fish, juvenile Sailfin tangs, as well as tiny Pipefish and large Trumpet fish. The marine park is an idyllic diving and snorkeling spot, as there is crystal clear water which offers great visibility with an average depth of 5.5m. This area has the most vibrating marine ecosystem which has been well preserved. With a great view of the reef, fish and of large selection of corals, the Blue Bay Marine Park is a true haven to feast your eyes with the ocean beauty. There are also glass bottom trips where you will have the same privilege access but without getting drenched. The Mahebourg Historical Naval Museum pays tribute to the 1810 battle naval of the Vieux Grand Port which lasted several days and was a great attempt by the British to conquer the island. It ended in defeat for the British and both sides suffered heavy casualties. The French victory is inscribed on the Arc de Triomphe in Paris. At that time the museum was a hospital which catered for the injured commanders both of the French and English fleets for treatments. The story of the victory is retold in the museum, along with salvaged items - cannons, grapeshot and the all-important wine bottles - from the British frigate Magicienne, which sank in the battle. The museum occupies three floors, where two of which are accessible to the public. On the ground floor wreckage of sailing ships that took part in the Grand Port battle, original cannon, cannonball, paintings and swords and weaponry of Robert Surcouf, the eighteenth-century corsair, popularly known as the king of the Corsairs. A large relief map shows the complicated reefs of Vieux Grand Port where the great battle took place. The bell, recovered from the wreckage of the St Geran which sunk off the east coast in 1744, is also on display. There is an interesting newspaper cutting of Charles Seabourne, who with survivors from the ship Trevessa, landed at Bel Ombre in the south in 1923 after spending 25 days at sea. On display are the ship's biscuits, a razor and the lid of a cigarette tin which they used to measure water rations. In a separate showcase is a Roll of Honour dedicated to Mauritians who died in World War II. On the first floor are Labourdonnais' four-poster bed, two palanquins or wooden sedan-type chairs, which were borne by slaves to convey their masters through the country and a collection of coins, curios, model sailing ships and early maps, labelled in French and English.